Darra Adam Khel, Pakistan – Nestled in the eastern foothills of the Safed Koh mountains in northwestern Pakistan, a jumble of low buildings forms a bazaar that has been the centre of guns and drugs in this part of the world for more than a century. 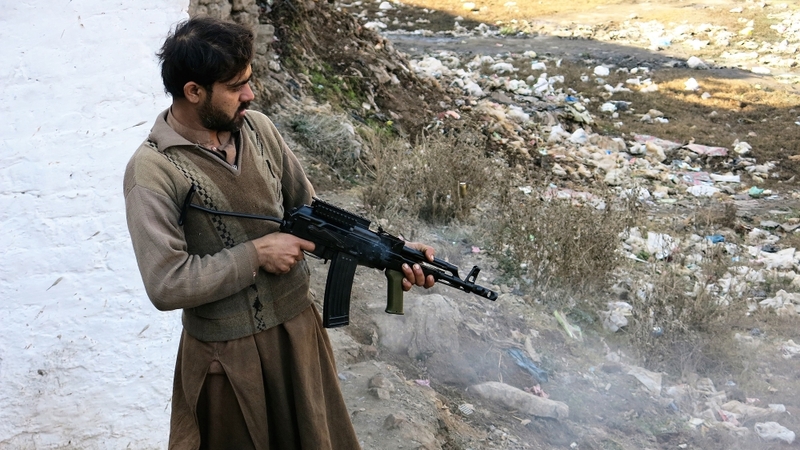 In the two-kilometre stretch of the Darra Adam Khel market, about 140km east of the capital Islamabad, there are dozens of weapons factories, manufacturing everything from crude copies of Chinese pistols to sophisticated facsimiles of the US-made M16 automatic rifle or the Austrian Glock semiautomatic pistol. 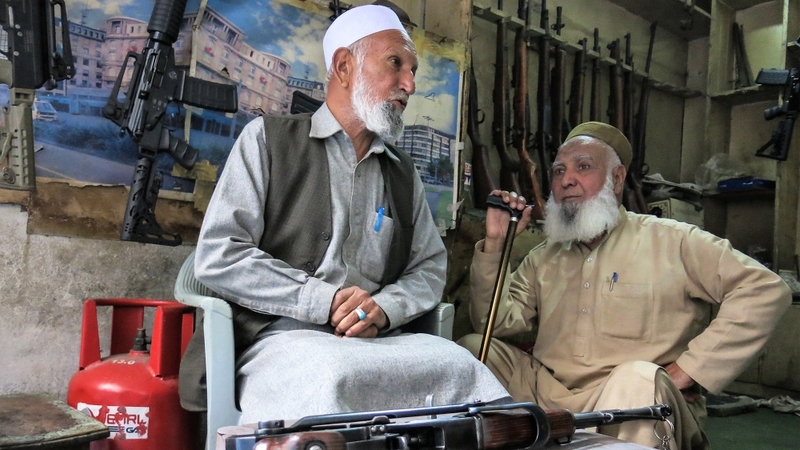 “We’ve been doing this since the British were ruling here – my father, and his father before him,” says Banat Khan, 67, the owner of a gun shop. You can pick up a local copy of an M16 rifle, standard issue to US troops stationed in neighbouring Afghanistan, for as little as 30,000 Pakistani rupees ($214), or about a quarter of the cost of the original, at Khan’s shop. The semi-automatic AK-74 Krinkov assault rifle – an upgrade to the venerable AK-47 – is the market’s bestseller, however, priced at just 10,000 Pakistani rupees ($72). 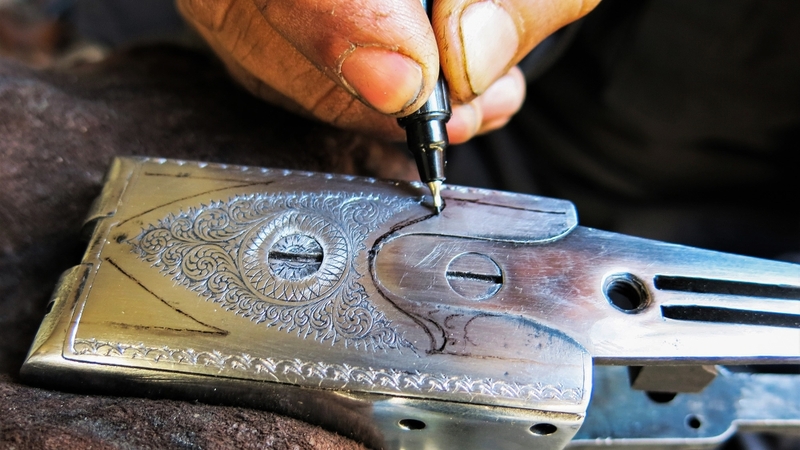 If you’re on a budget, a basic pistol will set you back just 3,000 Pakistani rupees ($21). Darra’s marketplace has survived for decades, thriving in a legal grey area that puts it outside of Pakistani law as part of the country’s erstwhile Federally Administered Tribal Areas (FATA). Weapons manufactured here have fuelled both the first Afghan war against Soviet forces and, later, the Pakistan Taliban’s fight against the Pakistani state itself since 2007. In May 2018, Pakistan’s parliament passed an historic law that would see FATA – until now governed directly by Islamabad through a colonial system of “political agents” who wielded extraordinary powers in their areas of jurisdiction – merge with its neighbouring Khyber Pakhtunkhwa (KP) province. Pakistani criminal and constitutional laws did not apply to citizens of FATA. They also did not have recourse to the court system. Governance was historically weak in these areas, with FATA’s districts consistently ranking at the bottom of socioeconomic indicators. Among tribal leaders, who enjoyed considerable influence under the FCR as conduits of the political agent’s power over citizens, the arguments against the implementation of the merger centre on ideas of freedom and tradition. “We have been … living our lives under traditions for many years, and we have been doing well under it,” says Akharwal, the tribal chieftain. “I never even went to school. I spent my childhood here, in this workshop,” says Silawar Khan, his brother. The government, for its part, says it is working around the clock to implement the Supreme Court’s orders and to extend regular governance to FATA. Wazir outlined the government’s plans to extend the jurisdiction of the provincial government’s health and education programmes to the tribal areas, and to establish courts in each tribal district. On Darra’s gun bazaar, he was more circumspect, saying that while a number of plans existed, no concrete proposal had yet been decided upon. “We will make a mechanism for this, and if any legislation is required we will pass that too,” he says. “This thing is in our sights, this issue of people’s livelihoods. If we can find a way out that is positive then we will definitely do so”. For those in Darra’s bazaar, though, the fear is palpable. 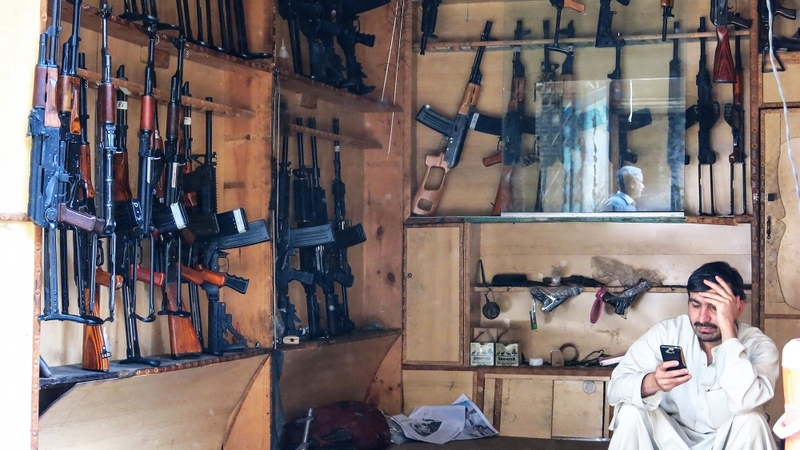 “The government says that we tribals have given many sacrifices [during the war against the Taliban],” says Banat Khan, the gun shop owner. “We are Pakistani, by Allah’s will we will continue to sacrifice, why not? It is our country.